Located in Southern California just north of the Mexico border, San Diego has transformed itself from a sleepy Navy town to one of the country’s top holiday destinations. In addition to its marvelous weather, San Diego features a glittering skyline, chic dining and trendy night clubs as well as sun-soaked beaches and family-friendly theme parks. The coastal city is also home to the indigenous Kumeyaay people, the Presidio and the Mission San Diego de Alcala, which was the first European settlement in what is now present-day San Diego. The Spirit of St. Louis, the plane made famous by Charles Lindbergh’s solo flight across the Atlantic, was built in San Diego. Still home to one of America’s largest naval fleets as well as a thriving economy based on research, manufacturing and international trade, the city also has a booming tourism industry. 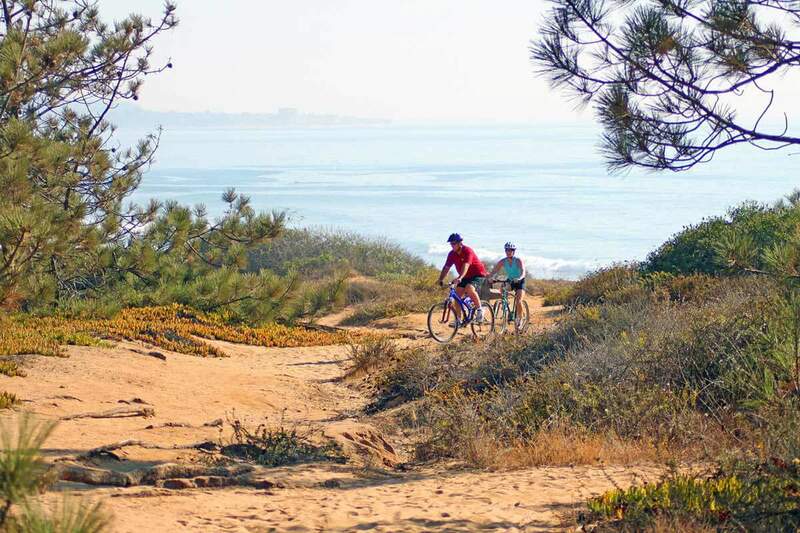 For those planning a budget-friendly trip to the west coast, many of San Diego’s best amenities can be experienced without losing any of the fun or valuable finances. The area offers several discount hotels as well as low-cost airlines with regularly scheduled flights into San Diego International Airport. And with the right planning, some of San Diego’s most popular sights and attractions can be added to a budget-conscious traveler’s itinerary. By saving money where possible, you’ll be able to splurge on a delicious meal by the waterfront or a unique souvenir to remember your trip by. According to the Farmer’s Almanac and the Weather Channel, San Diego has one of the top climates in the United States. Boasting over 3,000 hours of sunshine annually, the city’s Mediterranean climate is characterized by warm, dry summers with highs in the 80s and mild winters with average temperatures in the 50s. The months of December through March typically see the most precipitation in San Diego. However, because of the abundant year round sunshine, there is never really a bad time to visit America’s Finest City. Another time-frame to keep in mind when planning your trip is summer vacation, typically June through August. Packs of students will be touring the city and families with school-age children take advantage of the school break. The best time of year to plan your trip is either March through May or September through November. The weather will still be warm and you’ll be able to enjoy the beautiful scenery at your own pace. You can also find great deals during the winter season when other travelers don’t want to risk the chance of rain. No matter when you plan to arrive, book your reservations in advance. Along with airlines and hotels, tickets to attractions like the San Diego SEAL tours can be purchased online before your trip. By purchasing now, you’ll also be able to keep a better eye on your budget before you enter the whirlwind of vacation traveling. Enjoy the great outdoors and culture of this coastal city with a visit to its beaches and popular neighborhoods. Grab a bottle of sunscreen, a beach towel and your walking shoes for an inexpensive day of fun in the sun. 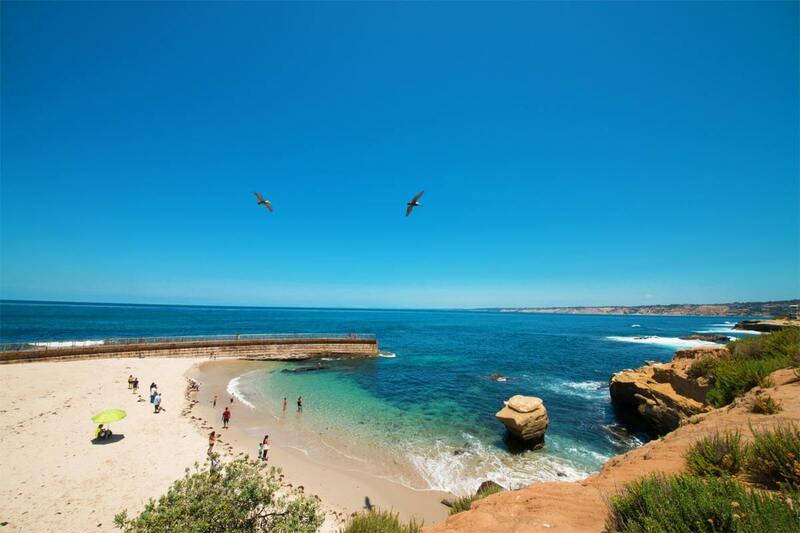 For travelers looking to experience San Diego’s great outdoors, head to one of the city’s many free and public beaches to swim, surf or just play in the sand. Ocean Beach is located between the hills of Point Loma and the San Diego River. This haven for swimmers and surfers is also open to dogs. The seaside cliffs of Point Loma offer spectacular sunset views and the chance to explore the marine life found in the surf side tide pools. And if your furry friend hasn’t had enough of the sand and surf, head to North Beach. Locals and their furry friends frequent this stretch of sand near the Navel Air Station on Coronado. With the famous Hotel del Coronado as a backdrop, the beaches of Coronado are consistently ranked as some of the best in the country. Mission Bay beckons water sports enthusiasts of all skill levels to try their hand at kayaking, paddle-boarding and wind surfing. You can also stroll along the 3-mile scenic boardwalk to calm down your adrenaline. 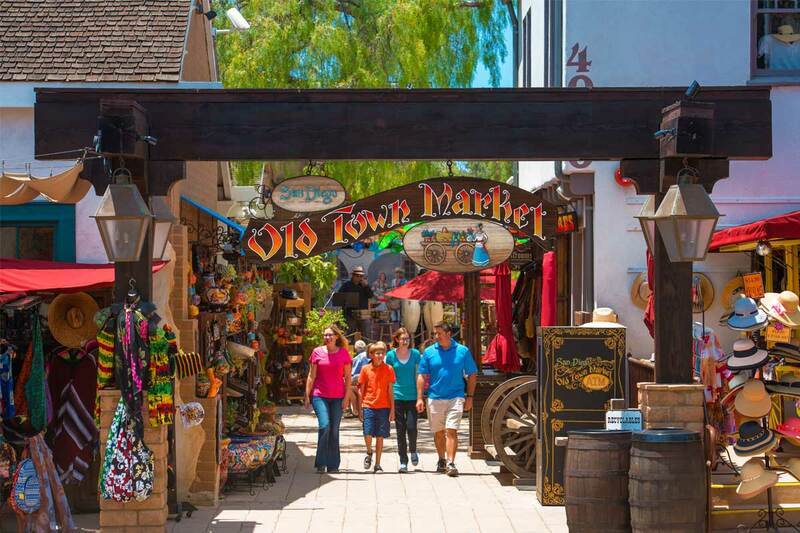 The birthplace of California, Old Town San Diego boasts a festive and historic ambiance. The district includes a state park, heritage architecture, quaint boutiques and authentic Mexican eateries. Enjoy the sounds of mariachi bands and the aroma of freshly baked tortillas. In addition to museums and beautiful Spanish Colonial Revival architecture, the award-winning Balboa Park features performing arts venues that serve as the setting for free, open-air concerts. There are also 1,200 acres of lush gardens as well as playground facilities and picnic areas. Lace up your hiking shoes for a journey through the most beautiful and natural parts of San Diego with a visit to the area’s state and regional parks. A prime birding area, Torrey Pines State Reserve is a protected habitat for woodpeckers, thrashers and swifts. One of the largest state parks in the country, Anza-Borrego Desert explodes with a colorful array of wildflowers each spring. And Mission Trails Regional Park contains a number of walking, hiking and mountain biking trails that provide scenic views as well as the opportunity to see various species of plants and wildlife. Climb to the summit of Mount Soledad for panoramic views of the surrounding countryside. 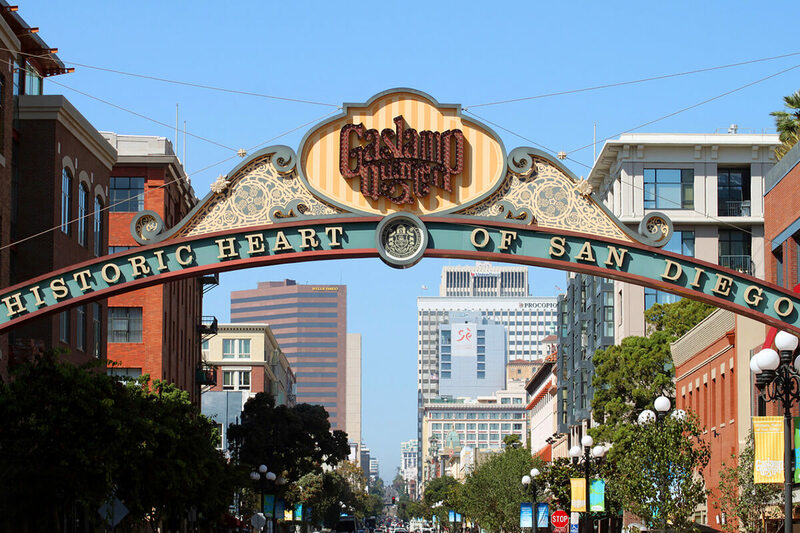 Located downtown, the 16.5-block Gaslamp Quarter district is home to renovated turn-of-the-century Victorian buildings. This shopping, dining and entertainment complex is the setting for annual events like Mardi Gras, St. Patrick’s Day and other art, music and food festivals. This revitalized part of San Diego is a great area to soak in the city’s modern, cultural ambiance while also seeing its historical past. While there are plenty of ways to enjoy San Diego at little or no cost, the city does have several must-see attractions that charge admission, although discounts are available. Go online and purchase multi-day passes that allow you to visit several attractions for less than the cost of general admission. These savings booklets also include coupons for discounts at participating stores and restaurants. By saving money in other areas of your vacation, you may be able to afford a visit to these popular destinations. 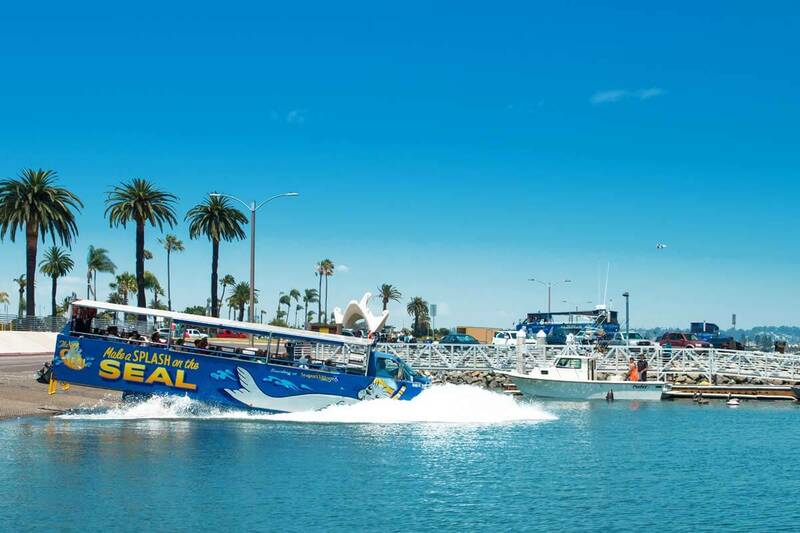 Take a land and sea adventure aboard a San Diego SEAL tour. Climb aboard a specially designed vehicle that takes you on a fun and exciting tour of many of San Diego’s most popular sights. This 90-minute narrated sightseeing journey also includes splashing into the San Diego Harbor for a view of the city from the water. 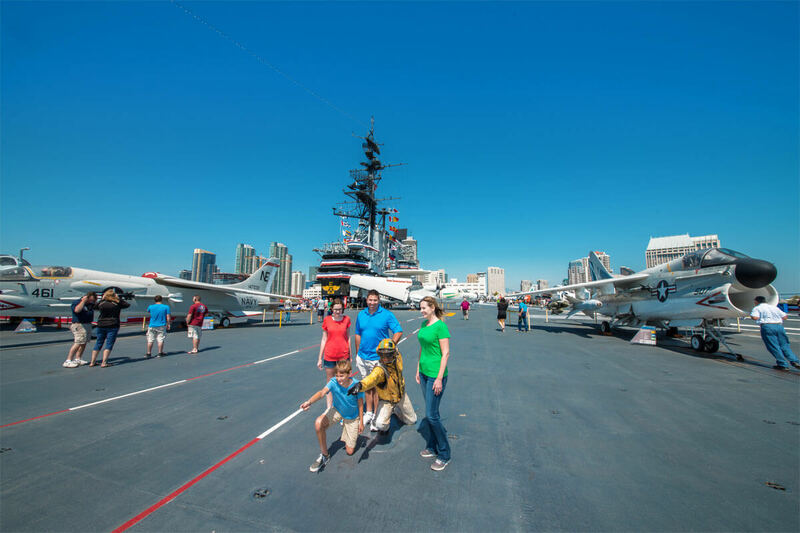 Learn about the city’s fascinating history as you see iconic landmarks such as Point Loma, the Maritime Museum and the USS Midway Museum. Take this tour at the beginning of your vacation to scope out places you’d like to visit once back on land. Located in Mission Bay, SeaWorld San Diego features a variety of animal shows, thrill rides and aquatic displays. Explore the undersea world, feel the adrenaline rush of a roller coaster and giggle as animals perform a variety of tricks. You can see dolphins, penguins and otter sea creatures up close and personal. Younger guests will enjoy the interactive Sesame Street’s Bay of Play water recreation area. This family-friendly attraction offers a day of wholesome laughs and good times. 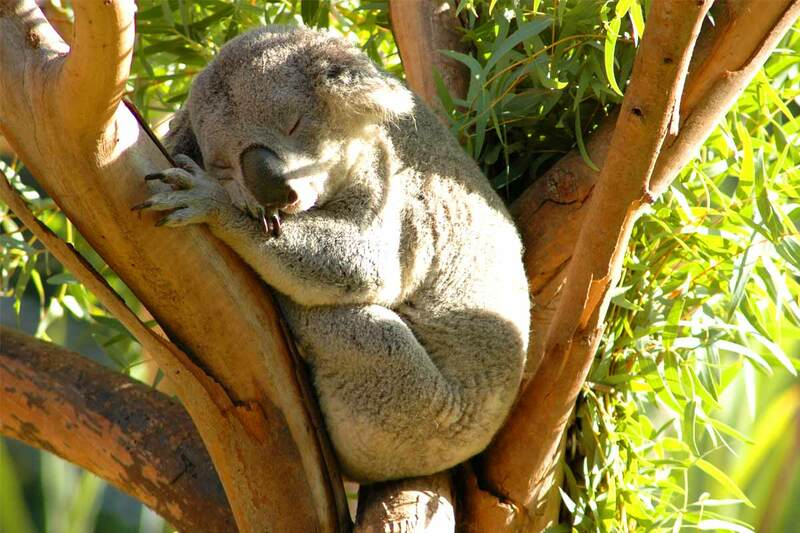 The world-famous San Diego Zoo is home to more than 3,700 animals from over 600 species. Located in Balboa Park, exhibits include pandas, gorillas, elephants and tigers as well as monkeys, wombats and red-ruffed lemurs. See animals from Asia, Africa and the Americas in settings similar to their native habitats. Take a guided tour or ride the Skyfari aerial gondola for a bird’s eye view. This memorable experience is perfect for animal lovers, young children and families. For die-hard fans and travelers looking for more adventure than a day on the beach, a major league sporting event in San Diego is one way to make your vacation unique. Join local fans as they cheer on the hometown baseball team, the San Diego Padres, at Petco Park. The San Diego Museum of Art houses a collection of art and antiquities dating from 5000 B.C. to the present. The collection contains paintings and sculptures as well as priceless works in other media. Highlights of the collection include works by El Greco, Goya, Rubens and van Dyck. The San Diego Natural History Museum features a variety of fascinating exhibits that highlight the area’s biological diversity through interactive displays. The extensive fossil and botanical collections give visitors the opportunity to imagine inhabitants that once resided in San Diego’s mountainous, arid and coastal habitats. You can participate in hands-on science experiments and enjoy shows on the massive screen in the Dolby Digital 3D theater. An affiliate of the Smithsonian Institution, the San Diego Air and Space Museum contains a collection of historic aircraft from around the world. The museum chronicles the history of aviation and spaceflight with an emphasis on the role played by San Diego residents and organizations. There is an aviation-themed kid’s action, a 3D/4D theater and hands-on displays that include flight simulators.